48 X Magic Block. The player first disrupts the dice in the colored dice and ensures that all the dice fall into the groove to form a new pattern. How to play Material: ABS. Quality is the first with best service. Material: ABSPlastic. Product color to prevail in kind. Color: Black. 48 X Magic Block. The player first disrupts the dice in the colored dice and ensures that all the dice fall into the groove to form a new pattern. How to play Material: ABS. All products are quality checked. Otherwise deal is final. Fit for both children and adults of all ages. We will be happy to resolve any issues you may have in a cordial and friendly manner. Adjustable tensions and convenient to carry. Ultra-smooth feeling and compact design. Super corner cutting and avoiding locks-up. affected slightly by light or screen. Hope you can understand. Adjustable tensions and convenient to carry. and custom duty incurred. 3x3x3 :56x56mm. Material: ABS plastic. Weight: approx 54g. HOT toy and good gift for your friends or family, It's specifically designed for people who can't keep their fingers still, and whether you're a clicker, a flicker, a roller or a spinner, the cube has something to satisfy every type of fidgeter. 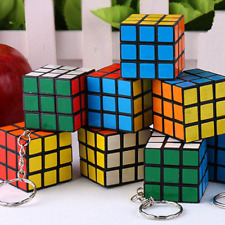 1Pcs Magic Cube. We choose the high quality material for our products. We will do our best to solve your problem. · We will reply you ASAP. Features: NEW VIVID COLOR SCHEME-Whole new vivid color work more effectively and more easier to recognize. FROSTED SURFACE-We make a special artwork on the cube surface--Frosted Surface Cube.Feels more texture and avoid the scratches after the long-time using. ANTI-STICK DESIGN-Can prevent the cube viscosity,make the cube solve smoothly. STICKERLESS -DISASSEMBLE-Stickerless version gives you more option. OPTIMIZED BIG ROUND CORNER-Optimized parts of the round corner pieces,makes work coordinate effectively,enhance the corner cutting ability,make it more smooth when it solves. Specifications: Material:ABS Product size:about 5.6*5.6*5.6cm Product weight:about 81.5g Packing:color box Color sheme:standard Package included: 1 * Warrior W Magic Cube. Compact design and smooth feeling, you will love it. Due to light and monitors effect, color difference may exist slightly. Color: Gold/Silver Random Color. Material: ABS. Size: 5.5 5.5 5.5cm/2.17 2.17 2.17". Shape: Cube. 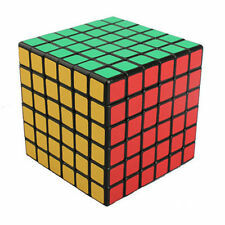 1pc x Colorful Cube. Material: ABS & Carbon Fiber Sticker. Compact and portable design makes it more convenient to carry, play it anywhere as you like. Color: Colorful carbon stickers & black color. You just need to find out a piece of the wood which is suttled on side of the box, and pull it.It will let you open the bigger drawer. After that, you will easy to open the other smaller drawer. 1x Puzzle box. Rubik's Cube 3 3 3 Speed Professional Level Magic Cube. Material :ABS Plastic. However, you bought the item from opposite side of. Adjustable tensions and convenient to carry. and custom duty incurred. Trending at C $4.93eBay determines this price through a machine-learned model of the product's sale prices within the last 90 days. Capacity: 10ml. Prevent your magic cube from getting rusted. 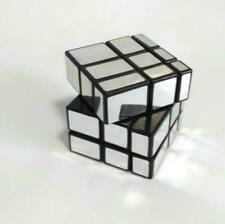 Make your magic cube move smoothly. 1 x Magic Cube Oil. Material: Silicone Oil. Due to the difference between different monitors. We will reply you ASAP. Qiyi QiDi 2x2x2 Magic Cubes Stickerless Speed Cube Puzzle Twist Brain Teasers. Heshu Super Big Stickerless Magic Cube 3x3 18cm Speed cube Puzzle cube Gift Kid. MOYU MF6 stickerless magic speed cube 6x6x6 puzzles cubes cubo magico toys. Cube SIZE:49 49 49mm Material: ABS. GES v3 or GES GTN. GAN’s LBL & CFOP Tutorial. 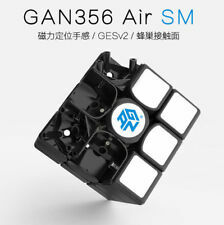 Cube: GAN356 X. Color: Standard color. With traditional Chinese culture and they are quite interesting to creative thinking and improve both your IQ and EQ. 1x Puzzle Box Lock. Material: Aluminum alloy. Our goal is. Great gift for adults and children. Shake the scrambler and go head to head with your opponent to shift and slide the tiles to be the first to make the 3x3 centre match the pattern. Try the ultimate Rubik's challenge and race against your friends and family to slide your colored Rubik's Tiles and be the first to match the pattern shown on the scrambler. Cube SIZE:68 68 68mm Material: ABS. Weight without box : 187g Color : Multi-Color. The Fluctuation Angle Cube is a fun new type of puzzle cube which uses an angled design which results in very odd shapes when mixed up. The Wheel Cube is a fun new concept very different than a typical 3x3 cube puzzle. 1 Triangle Taking Unlocking Puzzle. Function: Puzzle unlock. Material: wood. If you encounter any trouble. 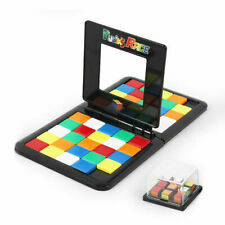 Rotate the magic cube with your friends and enjoy the happiness.1 x Magic Cube. But colors may appear slightly different to each user due to individual monitor settings. We will give you an answer and give you the best price within 24 hours. Color: Colorful. Size: 56 56 56mm. Layers: 5x5x5. You may also like. We are a professional foreign trade corporation in China，our products are in high quality and reasonable price. 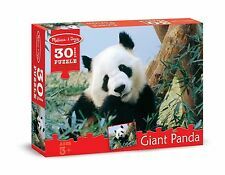 1 x Puzzles Cube Kit. ★Don't want to play, you can put it on the cube stand. ★Prevent your magic cube from getting rusted. 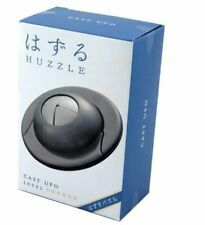 ★Make your beloved magic cube move smoothly. ★The necessities of the magic cube. Level: 3x3x3. Heshu Super Big Stickerless Magic Cube 3x3 18cm Speed cube 3x3 largest cube Gift. 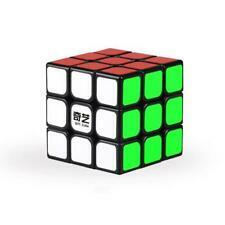 Moyu Speed Cube Bundle Mofangjiaoshi 2x2 3x3 4x4 5x5 Stickerless Magic Cube Set. MoYu MF3 3x3 Smooth New 3 x 3 x 3 Speed & Magic Cube Puzzle black. Moyu Speed Cube Bundle 2x2 3x3 4x4 5x5 Stickerless Puzzle Magic Cube Set. 1x Moyu 3x3 Speed Cube. 1x Moyu 2x2 Speed Cube. 1x Moyu 5x5 Speed Cube. 1x Moyu 4x4 Speed Cube. Qiyi Magic Cubes Bundle 2x2 3x3 4x4 5x5 Stickerless Twist Speed Cube Set Toy. Features: NEW VIVID COLOR SCHEME-Whole new vivid color work more effectively and more easier to recognize. FROSTED SURFACE-We make a special artwork on the cube surface--Frosted Surface Cube.Feels more texture and avoid the scratches after the long-time using. ANTI-STICK DESIGN-Can prevent the cube viscosity,make the cube solve smoothly. STICKERLESS -DISASSEMBLE-Stickerless version gives you more option. OPTIMIZED BIG ROUND CORNER-Optimized parts of the round corner pieces,makes work coordinate effectively,enhance the corner cutting ability,make it more smooth when it solves. Specifications: Material:ABS Product size:about 5.6*5.6*5.6cm Product weight:about 81.5g Packing:color box Color sheme:standard Package included: 1 X Warrior W Magic Cube. Feature: layers: 4x4x4 material: ABS weight: 155 G without box color: multi-color stickerless box size: 6.2 * 6.2 * 6.2 cm / 2.5 inch nane:QY QiYuan 4X4X4 Speed cube Package included: 1 x Magic Cube. Cube SIZE:56 56 56mm Material:ABS. Weight with box : 241g Color : Multi-Color. 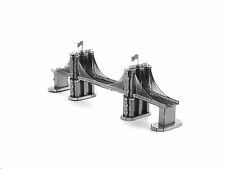 Material: ABS Magnetic Weight: 88 G without box. Material: BeechExternal size: 5 x 1. 46 x 1. 46 inch; inner size: 2. 75 x 1 x 0. 5 inch.Recommended for ages 5 and up, children should be used under adult supervision, water-based paint, touch smooth.You can hide a ring, a clue of gift or other surprises in it.Colour:Wood color Burr Puzzles have been found in Europe and Asia since the 18th century, It embodies the wisdom of the ancientsThis Burr Puzzle is specially designed to disassemble and reassemble, wooden Puzzles are classic and popular Puzzle Game toys, can train and develop your logic & improve your IQ, suitable for both young and old. 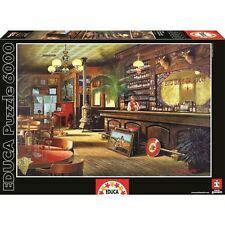 The wooden puzzles may look simple, but they contains lots of mysteries, they are usually easy to disassemble but difficult to assemble, each wooden Puzzle is special . Good for creative thinking and improve both your IQ & EQ. 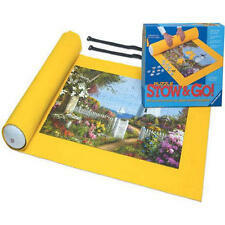 Very classic and popular, very ideal for kids and adults. Also note that monitor settings may vary from computer to computer and may distort actual colors.